The United Republic of Tanzania has launched a National Framework for Climate Services, with the aim of improving the ability and usability of weather and climate services to increase resilience to climate change and extreme weather. The framework will be spearheaded by the Tanzania Meteorological Agency and will unite different government sectors and actors in society to increase efficiency and coordination, and to facilitate cross-cutting actions. 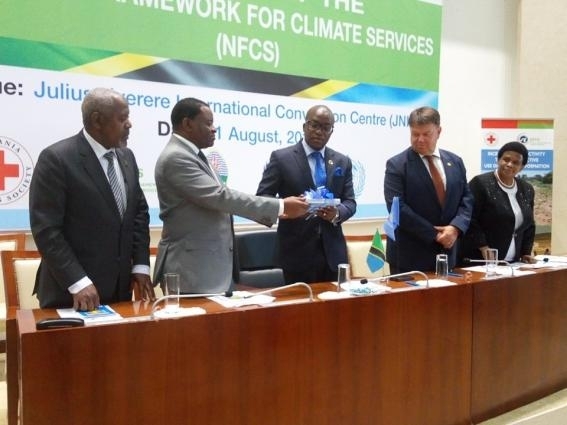 Tanzania joins a growing number of countries who have established national climate services frameworks, inspired by the World Meteorological Organisation’s Global Framework for Climate Services (GFCS). The GFCS uses weather forecasting and early warning services of rapid hazards such as floods to promote longer term climate predictions. Tanzania’s framework was officially launched by Anthony Mavunde, Tanzania’s Deputy Minister for Labour, Youths and Employment this week. The framework has been developed as part of the GFCS Adaptation Programme in Africa, which was implemented in Tanzania and Malawi from 2015 -2017. A second phase of the programme, funded by Norway, has been approved for three more years.